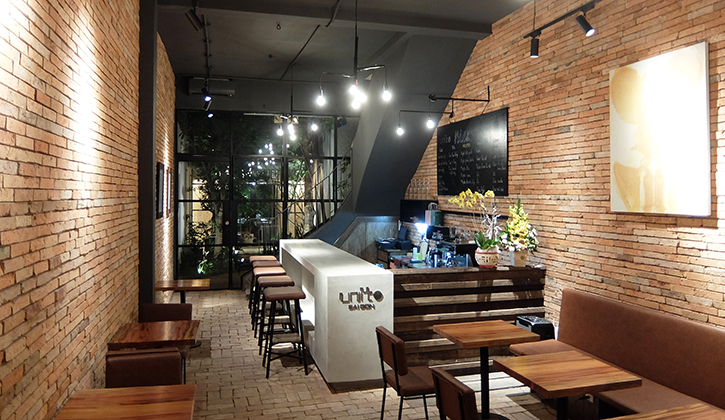 Unit 0 Saigon has a coffee shop, that is a relaxing space. Please use here by all means. Vietnamese coffee, fruit smoothie and waffle etc. are prepared in the menu. And we would like to plan various workshops irregularly, we look forward to your entry! Ground floor has calm atmosphere. our staffs will welcome you with a smile across the counter. You can enjoy Mr. Inagaki Motonori's art as well. 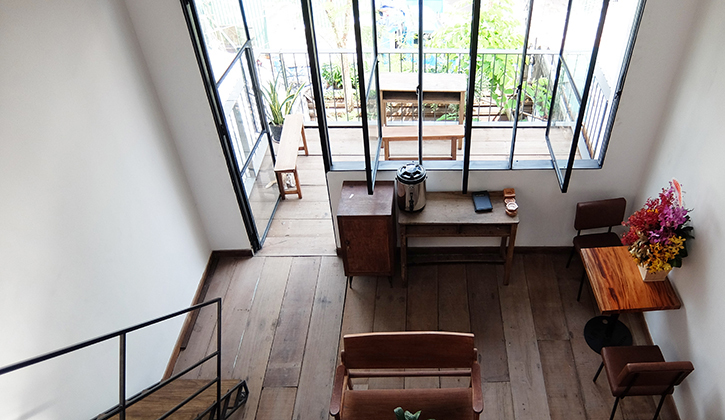 The first floor has refreshing atmosphere. There is a small loft space made by CLT (Cross Laminated Timber. Material : Japanese cypress) where is useful space for working. Courtyard is a luxurious space with only one table. 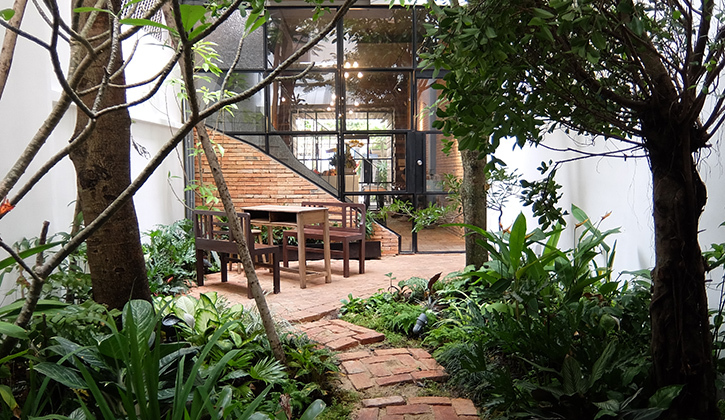 It is a relaxing space surrounded by greenery.